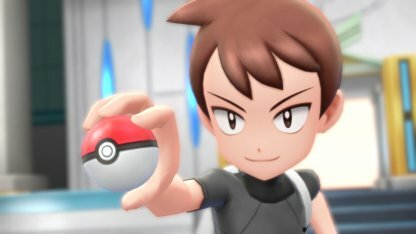 Read this Pokemon Let's Go Pikachu / Eevee guide & walkthrough on how to encounter and beat Mina, her Pokemon lineup, & farming Bottle Cap! 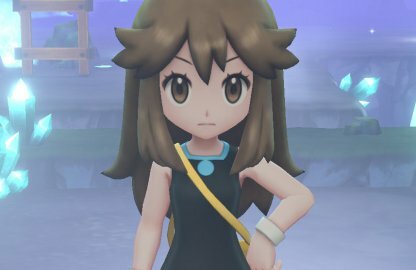 You'll first meet her at Vermilion City Port. 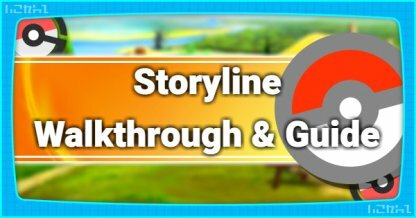 You need to completely explore the S.S. Anne & learn the Secret Technique "Chop Down". She'll be waiting at the port once the ship sails away. 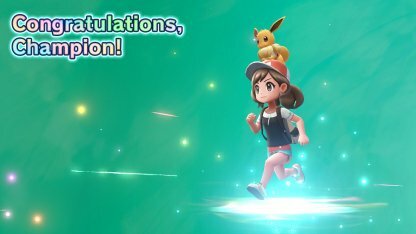 After beating the game and being the Pokemon League Champion, you can challenge Mina again! Go back to Vermilion City Port and you'll find Mina there. You can battle her once a day to earn money and a special item called "Bottle Cap". You'll get a Bottle Cap after defeating Mina. 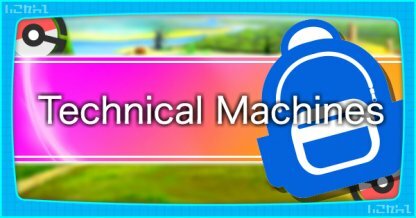 This is a special item you need to access Hyper Training at the Pokemon Day Care located at Route 5. 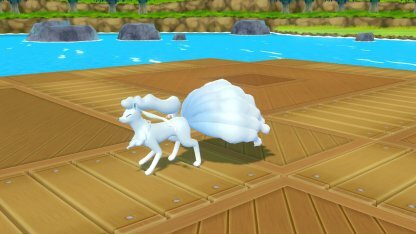 Mina will now have an Alolan Ninetales in her lineup. It's a Fairy Ice Type and is weak to Steel, Poison, and Fire Type attacks. 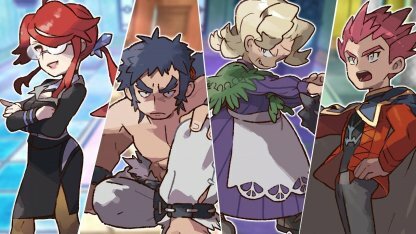 Mina's Fairy Types are all weak to Poison attacks. 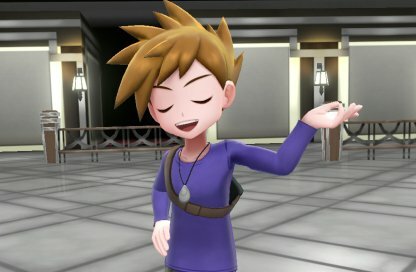 Having these types of Pokemon in your party will help you win against her! 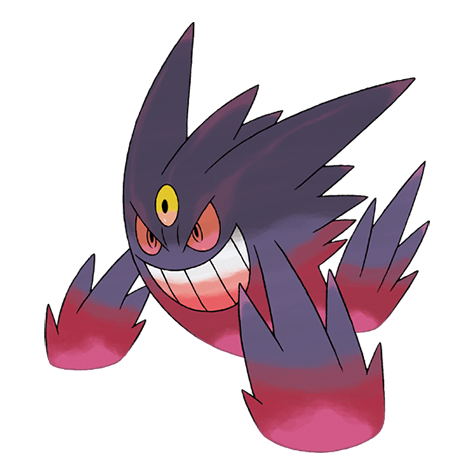 Gengar Gengar's Ghost & Poison Type moves are extremely effective against all of Mina's Pokemon, allowing you to do some heavy damage to easily knock them out. Mega Gengar Mega evolving to Mega Gengar will raise this Pokemon's stats - making its attacks much stronger, faster, & much more effective. Muk Muk has a strong Poison attack called "Sludge Bomb". 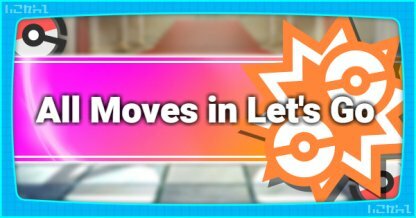 This move can easily lower the HP of any of Mina's Pokemon. Alolan Muk Alolan Muk generally has the same attack stats as its regular counterpart. It can also bat against Mina's Pokemon with its Poison moves such as "Toxic" and "Sludge Bomb". Nidoking Nidoking has high attack power and can take down Mina's Fairy Pokemon by sheer physical power via its Poison move "Poison Sting". Charizard Charizard can focus its fire on Mina's Alolan Ninetales as it is weak to Fire Type moves. Charizard won't have a hard time knocking out this Pokemon. 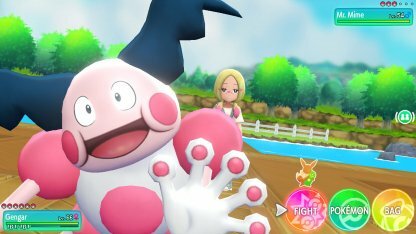 Partner Pokemon may not be the best to bring in this fight. Eevee may be able to do damage to Mina's Alolan Ninetales but it's best to let your partner Pokemon sit this battle out. Pikachu Pikachu's moves are ineffective in this fight. 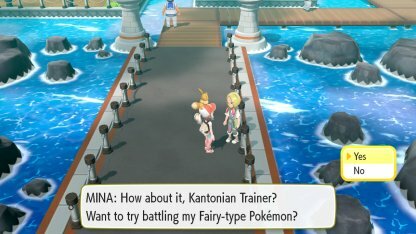 It's best to use Pokemon with a specific Type to combat Mina's Fairy Types. 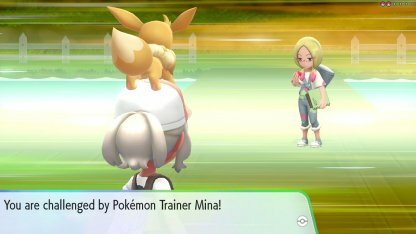 Eevee Eevee's Exclusive Move such as "Sizzly Slide" may deal some damage to Mina's Alolan Ninetales. Otherwise, Eevee's Type & move set mismatches with Mina's Pokemon. 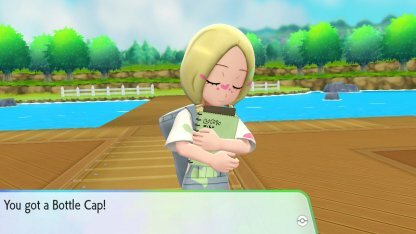 You'll face Mina again after defeating the Pokemon League so your Pokemon are at par with Mina's Pokemon. 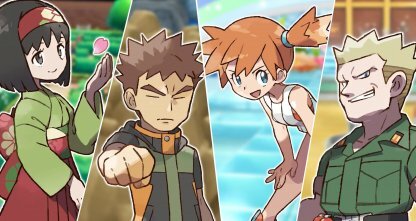 Bring powerful Pokemon that counter Mina's lineup's strengths and you'll beat her in no time. 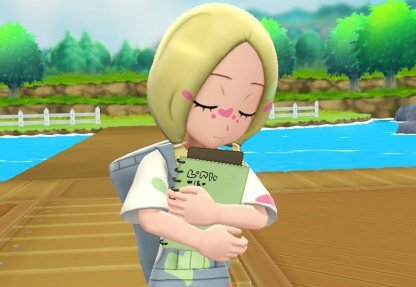 Mina is the sleepy Pokemon trainer & artist that you come across in Vermilion City Port after exploring the S.S. Anne. 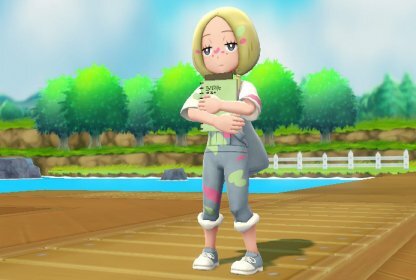 She has Fairy Type Pokemon and is from the Alola region.